If all the stores currently existing online were to be available on the high street, there is a good chance there would not be enough buildings to accommodate them all, or they would all exist in tower blocks hundreds of feet high. Online stores are a mixture of representation of "real world" business, or run as a stand alone venture, such as eBay auctions. The consumer has literally thousands of sites to choose from, providing thousands of products such as food, clothes, cars, bikes, household goods, gardening equipment, and basically the list is endless. Online stores do not only sell products you can see however, there are also thousands of "service oriented" sites offering holidays, delivery services, cleaning services and once again the list is endless. You can even order a ship or a yacht online, if you so choose! Where Do You Start? There Are So Many Online Shopping Sites! So faced with all these endless websites trying to sell you stuff, where do you start to look for the things you need? It all depends on what you are looking for, but once you have identified the goods or the service you require, what should you expect from an online website, especially given that there are a lot of fraudulent and dodgy sites out there. 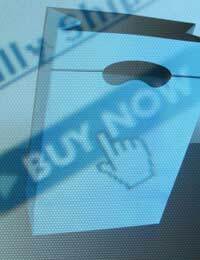 There are several questions you may wish to consider before buying goods or services online. Most of these are pertinent, but it is not expected that all online websites will be able to fulfill all the attributes considered below. Check Your "To Do/Check" List for Online Shopping. How do you know if an online website is genuine? Do they provide good search facilities? How do you know if you will receive your goods or services? Does the site have a refund or returns policy? Does the site have a good reputation on the Internet? Does the site publish full contact details, or do you only have an email address? Does the website work properly, or does it seem to be faulty? Do they have secure credit card facilities? Does their credit card services protect the consumer? Do they offer alternative means of payment? Are they recognised with authorised online certificate authorities such as Verisign? Does the site have a terms and conditions page? Do they have secure login facilities? If you join the site will they send you lot's of spam emails? Most, if not all of these are worthwhile considering, but we don't want you to have the impression that shopping online is not safe. These days, most online shopping is a sound, safe experience, mainly due to responsible online sites taking all the steps necessary to protect the end consumer. In the final analysis, it is in the interests of online shopping sites to provide a safe sound environment as to do any other would hurt their profits and viability as a business. The list above is provided as a guide to check and protect yourself against "scams" out there. The bottom line is if you are not too sure about an online website you should phone them with any questions you may have. The list is provided above so that if you are not too sure about ordering online you can phone them and request guidance and reassurance before processing your transaction. The best and most reliable sites will be most helpful and will have no problems in answering your questions. All online shopping sites should provide a full address, phone number and email address. Once you have ordered something you should be provided with a confirmation email and order number. The best sites have online operators available to speak to anytime you want. Not all websites need to have a certificate (e.g. Verisign), but if they have even better, as Verisign and other certification companies verify if a site is genuine and reputable. When processing credit cards, either through a third party credit card processor or their own facilities should use https:// in the address bar when processing your credit card. It prevents any hacking into your card details as they are encrypted. If you are not sure about an online shopping site, do some research and see if there are any reviews for the site online. If you are not sure about a site don't stick with it. There are plenty more to choose from!